FIFA World Cup is the show piece event of the most watched sport in the world. 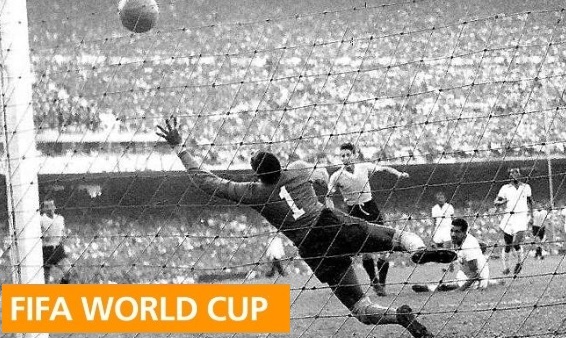 2018 World Cup is just around the corner and we take a look at ten of the best world cup matches every played. 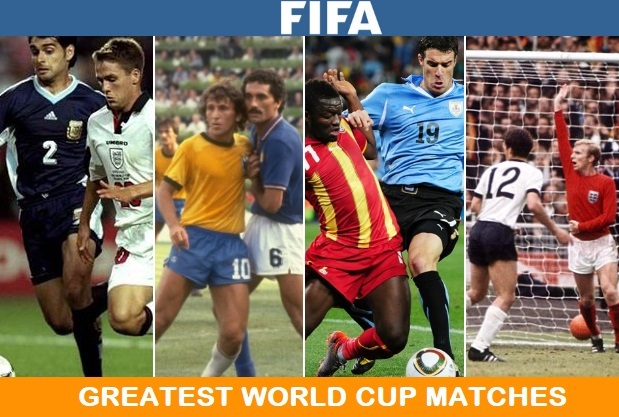 To be fair 10 matches are not enough to do the justice what World Cup have produced over the decades but here are the 10 most memorable world cup games of all times. There hardly been more dramatic finish to a world cup knockout tie than when Italy stunned hosts Germany in the 2006 world cup semifinals late in injury time through unlikely hero Fabio Grosso. Germans were favourites going into the game playing infront of crowd but Italian defense and resilience gave the game another dimension. Both teams created chances, played quality football but failed to breakdown each other and off we went to extra time. Where we similar scenario for most part and just when it looked like game is heading to penalties after titanic battle Fabio Grosso curled one with his left foot in 119th minute sparking Italian celebrations. Italy added another minutes later thanks to Del Piero and qualify for final against France which they won and won their fourth world cup title. 2010 World Cup was historic on so many levels, first ever to take place in Africa and for the first time more was expected of African teams participating in the biggest international tournament. However of the six African teams, only Ghana made it past the group stages and they defeated USA to reach their first ever quarterfinal facing Uruguay. So inevitably most neutrals and whole Africa was rooting for Ghana against a very rigid but effective Uruguay side who was lead by the likes of Forlan, Suarez and Cavani upfront. Ghana took the lead thanks to Sullay Muntari just before the break but Diego Forlan equalized midway through second half. After what was titanic battle throughout the normal 90 minutes on we went to extra time. Ghana looked strong and than came the controversial moment of the tournament when Dominic Adiyiah goal bound header was blocked by Luis Suarez with his hands and he was sent off but Asamoah Gyan missed the resulted penalty with Suarez celebrating on the touch line. Uruguay held their nerve and managed to win the game on Penalties. Now this one is an interesting one where build up to this knockout tie was all about England’s potential revenge over Argentina for that 1986 Quarterfinal defeat thanks to Maradona’s “Hand of God” goal. England went into the game slight favorites but it was Argentina who took the lead thanks to penalty from Gabriel Batistuta. But England hit back twice thanks to Penalty by Shearer and that famous solo goal by than 18-year old Michael Owen who slotted home after incredible run to stun Argentina. So three goals inside first 16 minutes and England leading a knockout tie only means one thing, inevitable sending off and England capitulate. David Beckham was sent off for a rash challenge on Diego Simone just after the half time and Javier Zanetti equalized. However even with a man down, England played with heart and should have taken the lead again but Sol Campbell goal was disallowed and we went to penalties. Where Paul Ince and David Batty missed their spot kicks causing another heart break exit for England. Now this final has been a distant memory but it was till date the highest attended football match of all times with around 200,000 people watching it live in famous Estadio do Maracana. 1950 World Cup took place in Brazil and the format of the tournament was different than usual cup events. Initially 16 teams were suppose to take part but 3 withdrew leaving FIFA to improvise with the format and they decided to have 4 groups (2 groups with four teams, 1 with three and 1 with just 2) and group winners play another group stage deciding the winner. Uruguay only had to play one game against Bolivia which they won 8-0 and qualify for final group stage. 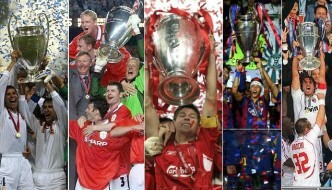 Where three other teams joined them with Brazil, Sweden and Spain. It all came down to final group game between Brazil and Uruguay where Brazil only needed a draw to confirm them as champions but and they took the lead in 47th minute thanks to goal from Friaça. But Uruguay came roaring back into the game scoring twice in 66th an 79th minute to upset the odds and win their second world cup infront of 200,000 angry Brazilian fans. Hungary went into the 1954 world cup regarded as the best team in the world at that time. They lost the final against West Germany which is also known as “Miracle of Berne”. 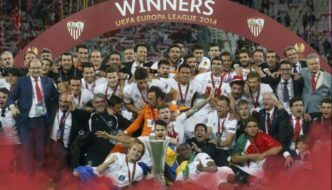 However the best game of the tournament took place between Hungary and defending Champions Uruguay in the semifinals. Uruguay had not lost a world cup game before that and they were outplayed for most part with Hungary taking a comfortable 2-0 lead at the halftime. However, Uruguay scored twice in 75th and 86th minute to take the game to extra time thanks to a brave brace from Hohberg who was accidentally knocked unconscious by his own team-mate while celebrating his second goal. 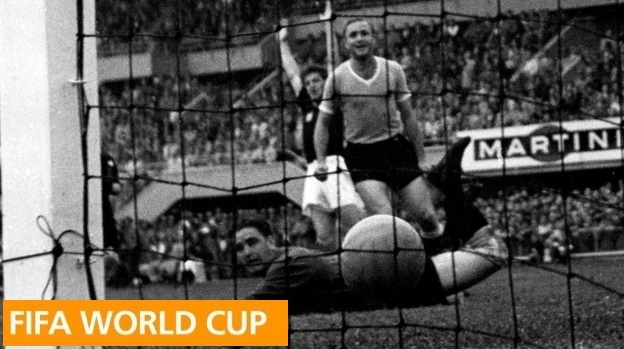 Hungary were the better team in extra time and hit the post before their talisman defender Victor Andrade forced to touchline after suffering a knock while he got his treatment Hungary took advantage and Sandor Kocsis scored twice in space of 5 minutes to put Hungary in the final where they eventually lost to West Germany. When we make any list of greatest world cup matches, this West Germany vs France semifinal in historic 1982 world cup has to be there and there about. Dubbed as German stamina against French Skill in game which had every thing from start to finish. Littbarski had put Germany 1-0 in lead in just 17th minute but Michel Platini equalized through penalty minutes later. The game was 1-1 at halfime and than came one of the most memorable moment in the world cup when Platini had put Patrick Battiston through on goal with a nicely crafted long ball and just before Battiston headed the ball towards goal, German keeper hurled himself at home with foot forward knocking Battiston unconsious and breaking two of his teeth, ball went just wide of the goal and referee waved play on for the astonishment of French and Germany keeper German stayed on the pitch without getting sent off and later would the different in the game. Match went to extra time and France were leading 3-1 and it looked like all over for Germany but than came one of the greatest comebacks in history with Germany scoring twice Rummenigge and Fischer to take the game to penalties. Six and Bossis missed their spot kicks leaving Horst Hrubesch to score the decisive penalty and complete what was a remarkable turn around and put Germany in the finals of 1982 final where they ultimately lost against Italy. 1986 World Cup had so many classic games and couple are featured on this list. 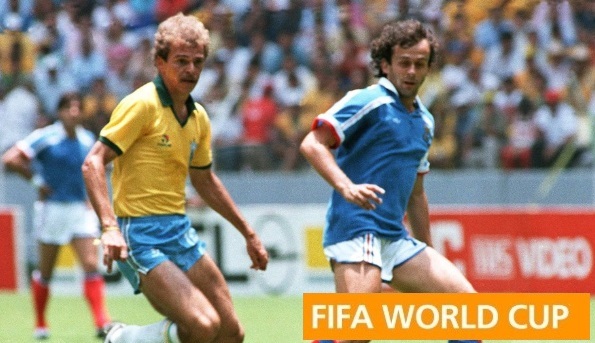 When France took on Brazil it was the clash between two favorites to actually win the title. 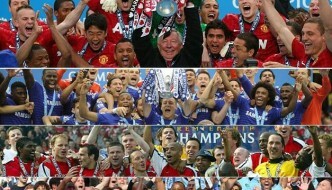 French where European champions while Brazil were the team to beat as usual. Although the scoreline tells a different story, but it was an epic encounter with both teams trading attack after attack for 90 minutes. Careca had put Brazil 1-0 up in just 17th minute and they had a chance to double their lead but Muller hit the post with a ferocious shot. France after riding their luck equalized through their captain Michael Platini and both teams continued to attack throughout the 90 minutes. Socrates, was bossing the midfield for Brazil and they had a chance to win the game late in second half but Zico missed the penalty leading game to extra time where both teams missed sitters really and one we went to penalties. Probably two best players on the pitch Socrates and Platini missed the penalties for either team followed by Julio Cesar hitting post and missing the penalty for Brazil which opened the door for Luis Fernandez to score and send France to semifinals and he did just that to end what was a proper high quality game of football. Wembley was the setting as home team England qualify for their first ever World Cup final against a very good Germany side but 1966 English team had some quality players as well with the likes of Bobby Charlton, Bobby Moore, Geoff Hurst, Martin Peters and Gordon Banks etc. However it was Germany who took the lead through Helmut HALLER in just 12th minute of the game. England had top marksman in Geoff Hurst who equalized in 19th minute leading to a intense remainder of normal time. England should have won the game in normal time when Martin Peters scored late in second half but Germany were awarded a freekick just outside the box and it was blasted into the wall but rebound fell nicely for Wolfgang Weber who made it 2-2 and took the game to extra time. Than England manager, Alf Ramsey gave an inspiring speach to England players with his famous words of “you have already won it once, now go and win it again”. Geoff Hurst was clearly paying attention who scored twice in extra time to win the world cup for England. 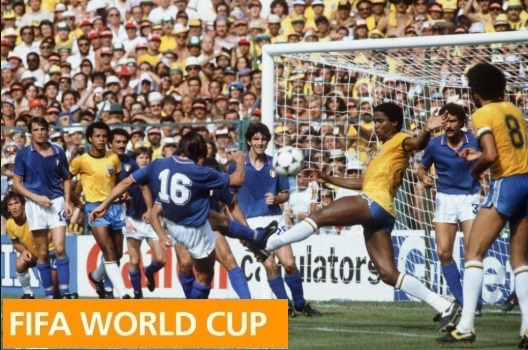 By the time World Cup 1982 came along, Brazil had won it three times already and their 1982 team was regarded by many as the best ever. However they were got group of death in the second group stage where they face Argentina and Italy in 2nd round group C. Out of the three teams only one was suppose to advance to knockout stages. Italy and Brazil both defeated Argentina making the last group c game pretty much as a knockout tie. Brazil had a lineup of players any team would dream of with the likes of Leandro, Junior, Socrates, Falcao, Eder and world best player at that time in Zico. Everyone expected Brazil to brush Italy aside who were not playing the best football having drawn all three of their first stage group games. However, in Paolo Rossi they had a player who could cause all sorts of problems for Brazil and thats exactly what happened. Rossi put Italy ahead twice but stunning strikes from Socrates and Falcao made it 2-2 but just as Brazil looked to have upper hand in the game, Rossi scored late in second half to seal the win and qualify for semifinals and went on to win the world cup beating Germany in the final. 1982 Brazilian team is also known as the “greatest football team to not win the world cup”. While Italy being Italy, winning world cups even without playing at top of their game. Now this one a truely remarkable game also know as “Game of the century” with a actual monument outside the Azteca Stadium in Mexico City reading “In homage to national teams of Italy (4), Germany (3) for starring in “Game of the Century”. The normal 90 minutes had quality football but by no means it was a game of the century material. Roberto Boninsegna had put Italy 1-0 in lead with an absolute wonderful strike in just 8th minute of the game. Italy defended and defended with their lives as Germany knocked on the door throughout the first 90 minutes. They got their breakthrough with a last ditch effort on goal thanks to Karl-Heinz Schnellinger. 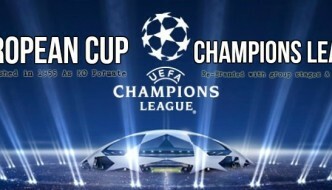 What followed in extra time was truly epic, 5 goals in 30 minutes making it one of most entertaining ending to the game. Germany’s went into the lead for the first time in the game thanks to goal from Gerd Muller but Italy hit back scoring twice in quick succession thanks to goals from Tarcisio Burgnich and Gigi Riva. 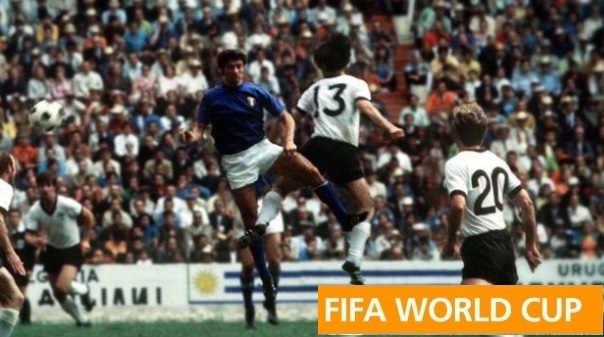 Germany again equalized through Gerd Muller but straight from kickoff Italy’s Gianni Rivera scored to make it 4-3 and win the game for Italians.